It was quite interesting to go through the write up published in Editor’s Pick section of New Age on 01 May 2018. 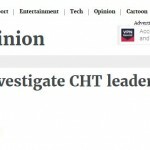 Titled as ‘Govt must investigate CHT leader abduction case’, it was about the abduction of two women leaders of HWF. According to the write-up, ISPR has negated any role of Army in the abduction. Yet, the writer felt that ‘there could be a complicity of the security forces in the matter’. Moreover, to substantiate the claim, the role of these two leaders in some incidents where security forces were involved had been linked. While reading the article, it appeared that either the two abductees themselves or someone on their behalf has written it. It might not be wrong if any reader gets an impression that the writer is asking the Govt to investigate their claims echoing the tone what prevailed in the Reporters Unity. Well, I find no problem is asking to investigate any abduction. But my issue is what if someone asks the same for a specific case only and not for all the similar incident? Being curious, I have visited the web page of New Age on 01 May 2018 and searched for ‘Khagrachari’, just to check what the recent news of that area was. 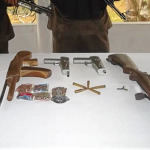 I have found that the last news was on the blockade called by Hill Women’s Federation, Pahari Chhatra Parishad and Democratic Youth Forum against the abduction of the aforesaid two women leaders. The news was published on March 22, 2018. My curiosity grew more as I knew that there were 3 Bangalee businessmen who were abducted from Mahalchari of Khagrachari on 16 April 2018. But I could not find any news on this abduction on the web page of New Age. So, my curiosity has climbed to a new height. And, I have started checking what all are the significant events took places in Khagrachari since 16 April 2018 and covered in the same newspaper; but couldn’t find any. The New Age published four news on the blockade called by the Tribal organizations protesting the abduction of two women leaders on 21 March 2018. 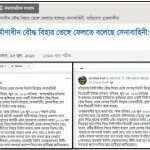 But I have failed to find any news on the similar event, hartal called by a Bengali organization on 23 April protesting abduction of three Bangalee businessmen. I really could not figure it out how the correspondent of New Age at Khagrachari could miss the case of abduction of the three Bangalee businessmen and subsequent hartal called by the Bengali organization on this issue. 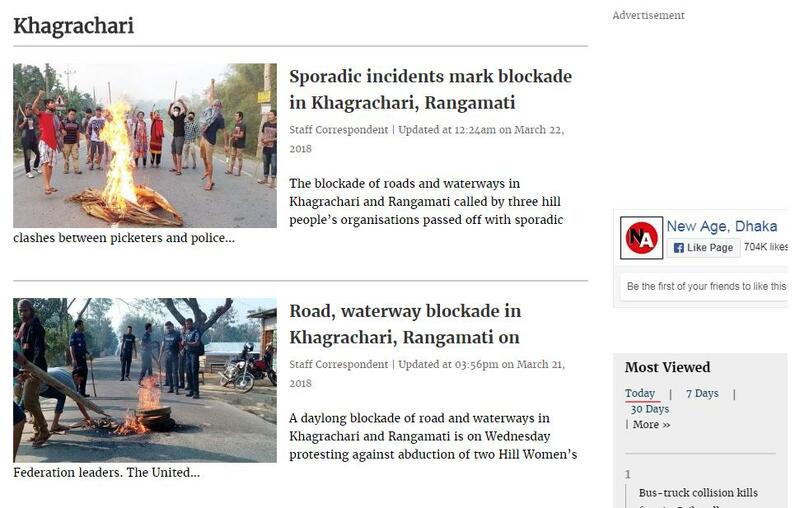 A newspaper publishing four news on the blockade of 21 March, but could not even publish one news on the hartal of 23 April – I am really undone to leave the issue on the conscious readers to find out why such thing could happen? Then, I checked the online version of the Daily Star of 24 April 2018. 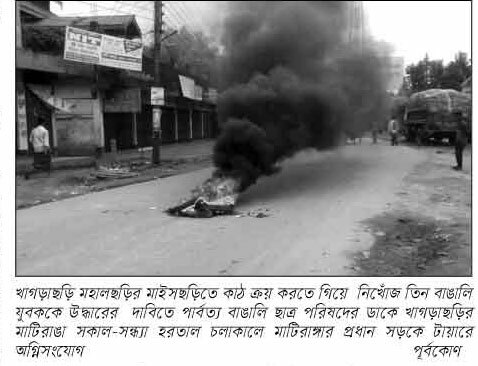 But I could not find any news about the hartal called by the Bengali organization. To check further, I went to the online archive of 17 April 2018 and checked all the pages. 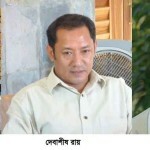 Unfortunately, could not find any news on the abduction of three Bangalee businessmen either. My curiosity has now reached its peak. I have started searching online versions of other leading dailies of the country. 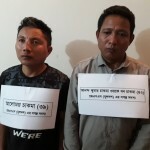 To my utter surprise, I have found that there are many newspapers who did not cover the news of abduction of three Bengali businessmen in Khagrachari as well as hartal called by the Bangalee organization protesting the aforesaid abduction. On the contrary, most of them have covered the abduction of two tribal women leaders as well as blockade called by the tribal organizations protesting their abduction. 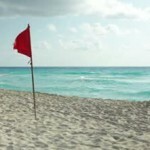 I guess, it is my mistake that I have been trusting many one-eyed journalists, so long of my life. I am not sure, how many are making the same mistakes in our society every day. ♦ Maher Islam: CHT Researcher.